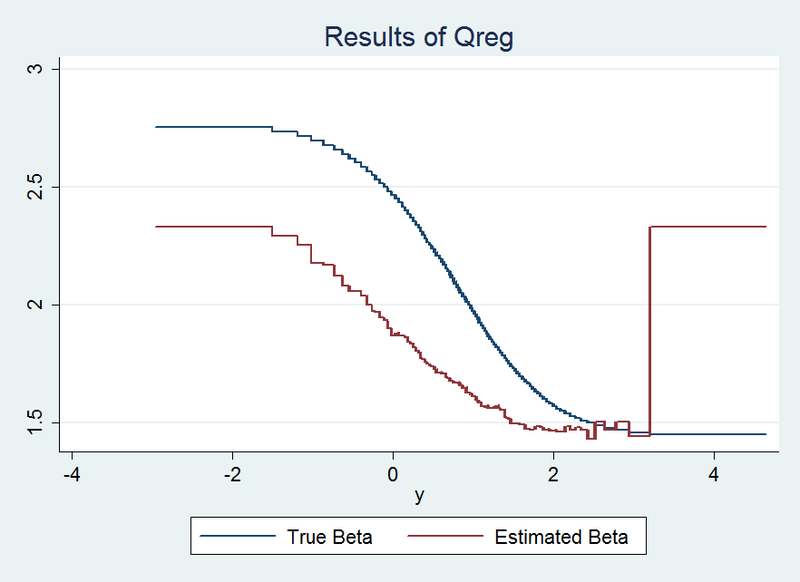 label var beta "True Beta"
* a range of 1.25 to 2.6 ish. 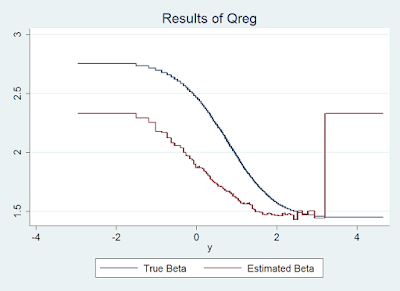 label var beta_hat "Estimated Beta"
* the 'cap' tells it not to stop if there is an error. * at picking up some of the shape of the beta distribution. * One might say that this is due to the tails having too few observations. * However, increasing the sample size to 100,000 gives almost identical results!